I like Humanity in form of Ubuntu. I like KDE. That's why Kubuntu was my favourite distribution almost from very first sight on it. It was version 10.04 LTS, which I got on official CD from Shipit. You can still order a copy of that CD from Buy Linux CDs site. Since then I made couple of upgrades: to 10.10 and 11.04. First upgrade to 10.10 was little bit painful, but tolerable. There were some bugs which needed fixing before system was usable again. Second upgrade to 11.04 was much worse. No, it does not mean that system became absolutely unusable. But there were 2 bugs which annoyed me a lot. First is problem with desktop effects. They are automatically disabled each boot and cannot be brought back on. Kubuntu complains on performance reasons, but I see nothing unusual happening. Second is shutdown problem with network drive mounted. It is the bug described here. Few months passed since 11.04 release date, and bugs are still here. That made me look into alternatives to both Ubuntu and Kubuntu. After some consideration, replacement candidates were found. First is to replace Kubuntu, and it will be Mageia. Second to replace Ubuntu, and it will be... Wait, one step at a time. So, I decided to move away not only from Kubuntu, but also from .deb-only concept on my PC. Mageia is a new distribution brought up on the remainings of Mandriva. I have already reviewed Mageia in Live mode, and was more than pleased. It is time to start installation now! Yes! Let's go! If you want to know more what I have done with Mageia and other Operating Systems, please feel free to subscribe to this blog. You can do this via e-mail, RSS feed, Twitter or Facebook page updates. Do you want to try Mageia yourself, but cannot download image and burn it to CD yourself? You can check the page Buy Linux CDs and make an order there. The process of Mageia installation itself is simple enough. Not many questions to answer. I pointed installer to use partition previously occupied by Ubuntu (not Kubuntu, because of reasons below). It done the job of copying files nicely. Installation itself took less than 20 minutes. Although, I was slightly disappointed at installation step. I have GRUB2 installed and controlled from Kubuntu, and I did not want to change this until later. 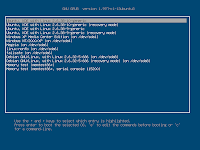 But there is no option NOT to install GRUB in Mageia installer. Not only it is GRUB, not GRUB2, but it is mandatory to use. For my surprise, GRUB did not automatically find other systems, except for Windows. I tried to add other systems automatically, but command update-grub (or grub-update) does not exist. Graphical tool to edit GRUB records in Mageia is not the most obvious. To overcome the issue, I had to make "broken" record in menu.lst on Mageia, which then led me to grub> invitation during the boot. Then few attempts with different parameters having hints from Ubuntu's GRUB documentation. And I am in the game again! Kubuntu's screen appeared. What have I done first when Kubuntu was back? Of course, sudo install-grub /dev/sda, i.e. recovered my GRUB2 from Kubuntu, like it was for last 6 or so months. Then grub-update made it's job to find all the systems. And I again have my Kubuntu as default (for long? not sure), and my Mageia is in the list! Select it... few seconds passed and... kernel panic. This is a bug in Debian (hence (K)Ubuntu) GRUB2 implementation. Solution is known, though in my case it looked slightly different to what is in bug report. I started Mageia installation from Live session, previously made Broadcom 4311 WiFi card active via .rpm used during Mageia Live review. The file was saved on my HDD specially for this occasion. To my nice surprise, installer took my rpm into newly installed system and WiFi started working immediately after installation. Wow! Next logical step is to mount my network drive, as well as all partitions on local disk. Samba client is not installed by default in Mageia. (Samba server too, if you are interested in outbound sharing). It was requested when I tried to configure Samba shared drives in Mageia Control Centre (MCC). But even installed Samba did not help to find my network drive. It was not visible in MCC. I went standard way and edited fstab manually, as described here. Looking into fstab, I was surprised that Windows (NTFS) partition was not found and mounted during installation. That's quite inconsistent taking into consideration my GRUB adventure above. I had to add NTFS partition into fstab. But this time graphical partition management tool from MCC worked fine. Another reboot, and I am back in working system with WiFi and all the drives mounted. Yes, I know I could do sudo mount -a, but I wanted also to test cold start case. How much time did it take Mageia to boot? 66 seconds from GRUB2 screen to ready-to-use system with network support. Not the best time actually, but tolerable. To be precise, little bit quicker than Kubuntu. General speed of system is very good, response time is very short. No delays in desktop effects, desktop cube and so on. I was so pleased by this! I thought that Kubuntu is nice and fast system. Now I see why I was wrong. As usual, I need to have Russian keyboard layout activated. It was done as usual - in Input Devices section of System Settings. Few clicks, and flag (I prefer flag rather than text) appears on taskbar to indicate active layout. I have already written about standard software package in Mageia 1. Of course, that is not enough for me. What have I done first of all? Installed Chrome, LibreOffice and VLC.That left me with my favourite brouser, office suite and multimedia player, giving all the codecs as a bonus. There is no torrent client in the default Mageia distribution (CD version). If you need torrent client, then it has to be installed. There are 3 torrent clients in repository: rbittorent (CLI based), qbittorrent and KTorrent. I tried Q and K ones, and not decided finally yet. Probably will stay with KTorrent, as it was my (only) choice in Kubuntu and I don't see anything wrong with it. Communication is very important nowadays. I use Skype, ICQ, GTalk and Mail.Ru Agent as my internet messenger protocols. Unfortunately, last one (Mail.Ru Agent aka MRIM) is not widely supported among popular messengers. The one which supports it out of the box is Qutim. Neither Skype nor Qutim are in standard repositories of Mageia. Moreover, there is no Skype for Mageia or Mandriva at all. There are versions of Skype RPMs for Fedora and SuSE. I tried Skype release for Fedora 13. Unfortunately, direct start of rpm file did not work. It put me back to my browser to search in the Internet. Solution was found here. Yes, simply cutting off all the dependencies is a cure for the situation. Qutim story is more difficult. I found a way to add repositories for installation of Qutim v.0.2 for Mandriva. Installation required so many dependencies which are not in Mageia's repositories that I got tired in manual installation of them. Finally all the dependencies were resolved, and Qutim installed. But it did not launch due to Segmentaion fault error. Actually verion 0.2 is not the latest. Version 0.3 is current one. Of course, there are no ready RPMs yet for Mandriva or Mageia. But I found out that Qutim 0.3 can be compiled from sources. I made this attempt, and it required a lot of development tools to be installed on my system. After all the cmake's and make install I got my own Qutim. I even managed to launch it. But without big success unfortunately. It crashed quite often, and even when I managed to get online I could not see any of my contacts in the window. I am still not sure what to do here. Last but not least step is desktop configuration. I got so used to quick launch panel in Kubuntu that I was slightly disappointed that Mageia does not have it as default. I mean QuickLaunch plasmoid. It allows you to place quick launch icons in multiple rows, giving more space to tasks switcher. Short discussion on Mageia forum helped me to figure out not only what I need, but where to take this from. Thanks, guys! Of course, standard desktop wallpaper was changed. I don't like feel myself in Windows 3.11-stiled tiled bricks. Luckily, Mageia has good selection of wallpapers in the box, and the one I chose gave my system a fresh and spring feeling. Like after big spring cleaning. Am I happier now than I was before Mageia installation? Most likely yes. Mageia proved itself very stable and nicely composed system not only in Live run, but also in full install mode. Yes, I still have something to work on before I can make final decision to dump Kubuntu. But that hour is very close I believe. And even now I have system which works smoother and quicker then Kubuntu, does not have issues with desktop effects and shutdown. These two facts are more than enough. Edit: question about MRIM and Qutim was solved... without Qutim. I found MRIM plugin for Pidgin. When I was working on this post, I got a message from one of Russian Mageia users. He complains that multilanguage support for Mageia is worse than for Mandriva. I had similar impression. All my searches around Mageia brought links only in English and French. Do you feel so too? As one of the proposed solutions, it could be a Mageia-fans forum where people can discuss issues on their native language, getting community support. What do you think? Would such a forum be useful? Mageia is a very fresh distribution. It would take some time to form a local russian (or any other nation's) group to improve localization and help the users. Mandriva has 13 years handicap. >Mandriva has 13 years handicap. That's true. But there is another truth that part of Mandriva community became Mageia community. The crew at Mageia has stated that more languages will be coming eventually. They stated that this is just a first release, fully functional, but not to be considered feature complete. It actually takes time to do things, and the developers have stated this up front. I am not talking about languages in distro, although this is very important too. I mean native-language support community. Currently there is no forum or whatever where Russian Mageia users can ask their questions in Russian and get answers in Russian. Language barrier is still important. After the ease of using Grub 1, Grub 2 has all the appeal of a virus. I used GRUB 1, then had to change to GRUB 2. It was a learning curve for me. But after this curve I don't want to come back to GRUB 1. For me, 2nd is more convenient and easy to configure. Is MIB version of RPM better than Fedora one? ...but if a distro doesn't currently support a language, why would someone try to use that distro, if they can't read the dialogs, menus, etc.? Not everyone is bilingual. I would not choose to use or try a distro that only supported Chinese for example, and even if I looked at it, I would not be asking questions about it. What I'm meaning is, my point, first the distro will support the language, then there will be users from that language/country, then there will be a support forum. Why would there be a support forum with resources devoted to it, before there are users? Make any sense? Russian is supported by Mageia: Europa 2 set. There are users in Russia. But there is no Russian forum. @Emery: your advise did not work. Maybe because I used Live CD of 10.04 to reanimate 11.04, but AFAIR that should not be a problem. Anyway, I reinstalled Mageia afresh using method from grub> invitation. @DarkDuck: The problem that often arises, is that places will package "generic" RPMs that simply don't work with Mandriva because the lib location is different than Redhat and SUSE. You'd have to make symlinks in order for them to see dependencies that were installed, and it was rather a pain. The GTalk plugin use to be one such culprit, until enough bug reports were filed. The MIB ones are specifically packaged for Mandriva, so it's kind of like asking "Can/Should I install ubuntu debs on my debian systems?". Sure you can, and it'll be fine most of the time, but it has been known to cause complications. So generally I advise sticking to RPMs actually built for that system. I installed Skype via advise from manou's link (Mageia's nonfree backport testing). Let's see if it works..
Ok, so it supports Russian. How many users are there? Are there enough for the team to hire/get a few volunteers to moderate that forum at this time? Would their resources be better spent polishing and working on the distro? Does the fact that the DEVELOPERS STATED THAT THE INITIAL RELEASE WAS NOT FEATURE COMPLETE AND THAT MORE FEATURES AND SUPPORT WERE COMING? Do you not think that support will not get there when they get around to it (don't you think they've been busy just getting their initial release out?)? Do other distros provide forums for every single language they support, especially on their very first release? Perhaps they chose what they wanted to, or what was requested to them the most. I see there is no use trying to prove a point with you, so I am done. My request about community support was addressed mainly to those people who use Russian version of Mageia and want to get their own community. Unfortunately, there is not much response from that side. I think Mageia will get proper multi-language support soon, just wanted to help people in the meantime. Anyway, thanks for reading my blog and answering here. Thanks for doing your review. I'm a Mageia enthusiant (and former Mandriva user) that has been doing my bit to help improve Mageia. As for grub2, we seem to be coming to a consensus to provide it as an option for Mageia 2, with it likely being the default for Mageia 3. As for Russian language community forums, I'm sure it will come. We already have German and Portuguese(Brazil) forums, as well as the English and French. The Skype question is interesting, as that package exists in the paid version of Mandriva (for which source code is not available), so there is a demand among some Mageia users. It is almost certain to become a regular part of Mageia (in the non-free section). Thanks for response deep from Mageia team! Grub2 should definitely be an option, as GRUB is not working nicely with GRUB2-oriented systems like Ubuntu. If you have a link to Russian forum, please share a link here, it will be seen by interested people. So what made you choose Mageia? 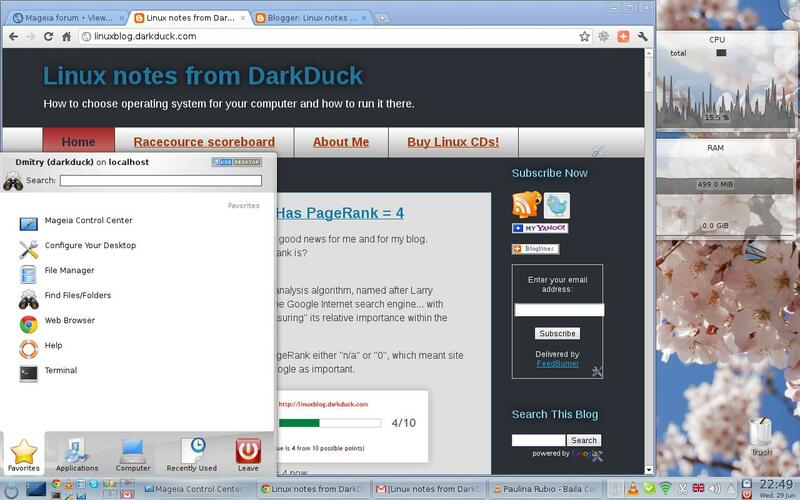 Hi, you can use the applications from ttp://portablelinuxapps.org/ . 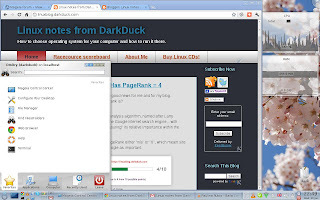 it will work on most distros.. i am using it in ubuntu and fedora 32 bit..
thanks for the link. I still prefer official repositories, but it can be useful for somebody. How much software comes in the Repos? I don't mind attempting to compile my own software, but I'm still new to it so, any headache that can be taken care of easily is a huge plus. It's difficult to say... it depends which repositories (backport, testing, tainted etc) you are using. Then, you can request some applications to be added via bug report. It was a way for Skype, for example. Skype, Digikam usw. kannst auch du haben. Du musst lediglich im Kontroll-Center in den Paketquellen Non-free Backports Testing anklicken und beim Paketmanager auf Anzeigen Alle anklicken. Wenn du Wünsche, Probleme etc., hast dann teile Mageia es mit. Hilf und arbeite mit Mageia. Mageia wird nicht schneller oder besser, wenn du die Distributionen wechselt und hoffst, wartest bis Mageia fertig ist. Mageia ist eine Non-Profit-Organisation sie sind auf Spenden, Hilfe, Vorschläge angewiesen. Ubuntu kann alles aber auch nur durch Hilfe von Debian und Carniol. Carniol hat auch das nötige Kleingeld um Dienste und Schnickschnack anbieten zu können. Sieh dir die Webseite von Mageia an es gibt dort mehre Seiten zu Mageia als nur Iso-Images. Ich kann dank Mageia meinen alten Siemens und 2 Gib RAM dass von vielen verächtete fette KDE nutzen und es läuft besser als Gnome, LXDE oder XFCE. Das System ist stabil. Es ist schnell oben und fährt schnell runter. Dank Grub-Text sehe ich auch Dinge die mit starten oder runter fahren und kann dadurch Fehler schneller entdecken, dass mir lieber ist als die geilste Grub-Grafik. Ich habe keine Probleme mit Graftiktreiber oder ähnliches. Wäre ich nicht auf Mageia gestoßen ich wäre wieder gewechselt zu Windows, weil ich für Arch, Puppy und wie sie alle heißen keine Geduld und Lust habe. Skype, Digikam, etc. you can have if you look in Controll-Center in Sorcislist "Non-free Backports Testing" click in Pacetmanger on "All"
Help and work with Mageia. Do not wait on Help of Mageia. Mageia is a young (non-profit) Organisation, she need Help, Ideas, Admins, Donation, etc.. Ubuntu's Help and Service provide out of Debian and Carniol. Carniol has Iedas beacuse he has big Money for Services, Marketing, etc. You know. Have a look at to Website of Mageia. There are more Site's of Mageia as Iso-Images. Mageia System is stable, fast Start, fast Shutdown, Groob with Text, little Work with Terminal, Live Performance Check, and many, many more. Don't be Angry but i has tested so many Distros, my Ideas was back to Windows. Now, i'm a big Fan of Mageia :D My old Siemens (2 Gib RAM + KDE) with Mageia fast run i don't miss XFCE, LXDE or Gnome and have no problems with NVIDIA etc. I don't complain about Mageia. Other way round, I tell all the time that it's my distro #1 now. With some inclination into Xubuntu for last few days actually. 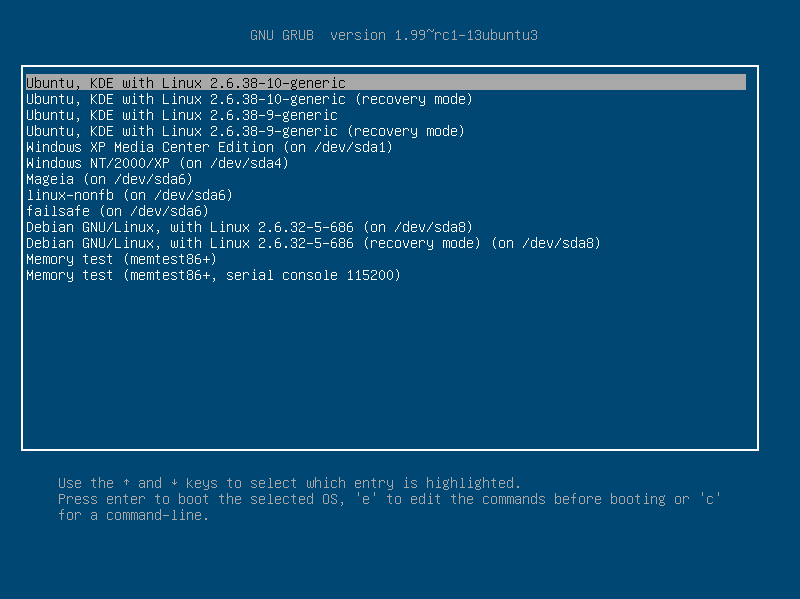 But still default option in GRUB2 is Mageia. And I also run it on Fujitsu-Siemens notebook. But I only have 1Gb of memory. Still pretty much workable KDE implementation. Nice to see you discover that there is more than kubuntu out there. I agree, Megeia may be the way of the future for many of us. You should give the same open minded review to PCLinuxOS. It has the same roots and with a great magazine, & forum. Dan, I wrote about PCLOS. And also my friends guest posted about PCLOS.